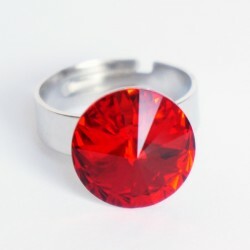 Are you looking to treat yourself, or do you want to buy that special someone a big rock? 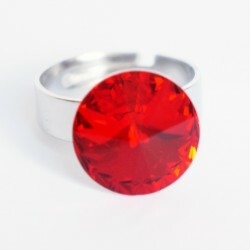 Try this beautiful ring, the color and size of which imitate ruby. 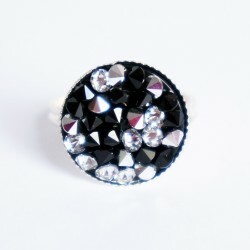 Be dazzled by the sparkle of this fashion ring, the 14mm cabochon on which is made from Swarovski crystal. 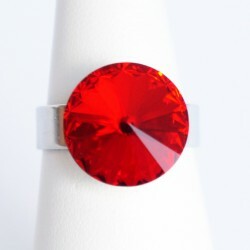 So, looking for a ring that imitates a precious gem but at a reasonable price? 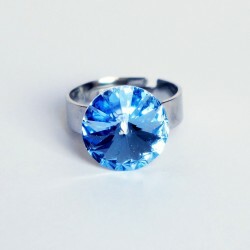 Available in diamond and sapphire. 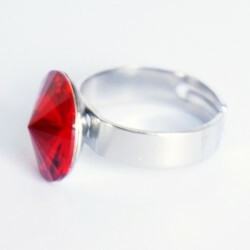 This ring imitates one of the most beautiful precious gems: ruby. Whether you are looking for a special gift or just a treat for yourself, you will fall in love with this reasonably priced ring. 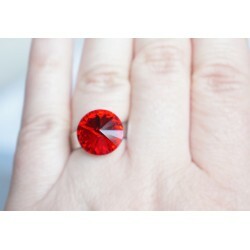 You will love the effect of the light reflecting off the facets of the gleaming Swarovski crystal cabochon. 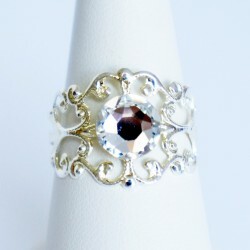 The ring itself is made from adjustable silver-plated metal. 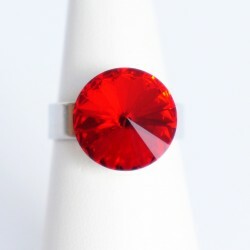 There will therefore be no size issues; you can make it bigger or smaller really easily. 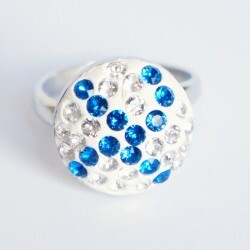 “Diamond” and “sapphire” versions of this ring are also available on this website. 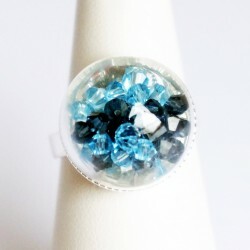 If you are looking for a smaller piece or another color (blue, green, red, yellow, etc. ), don’t hesitate to contact us and we will make it to order. 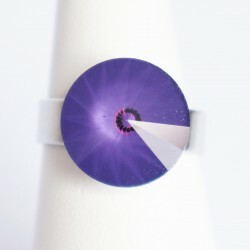 All our jewelry is made by us with quality materials. 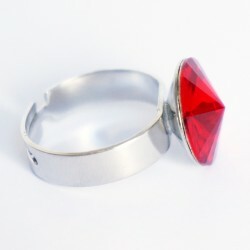 This ring is hand-crafted in our workshop in Belgium. La partie supérieure mesure 14 mm de diamètre.